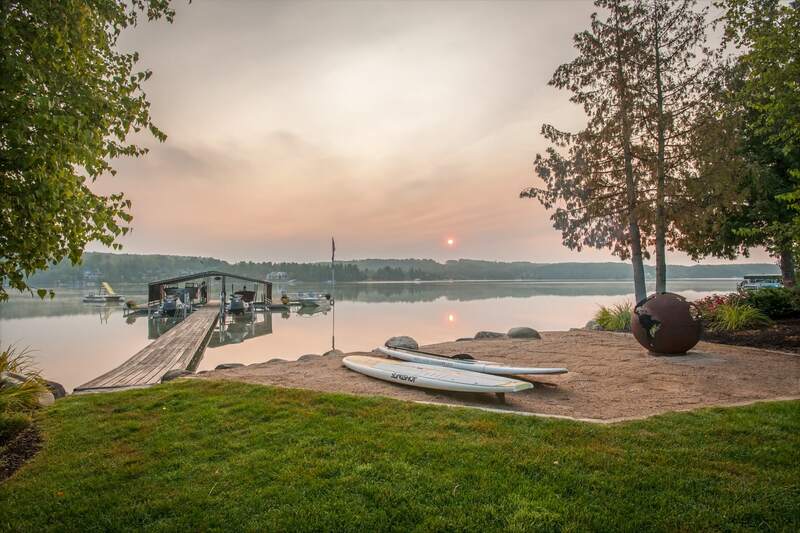 The makeover of a cottage on Walloon Lake takes a cue from its mid-century modern roots. A small porcelain tray on the bar sums up the Leavy family’s attitude about both life and their cottage on Walloon Lake. “Why limit happy to an hour?” the quote reads. In case you had any doubts about the Leavys penchant for relaxed fun, know there is a Nerf basketball rim on the doorjamb leading into the small kitchen. 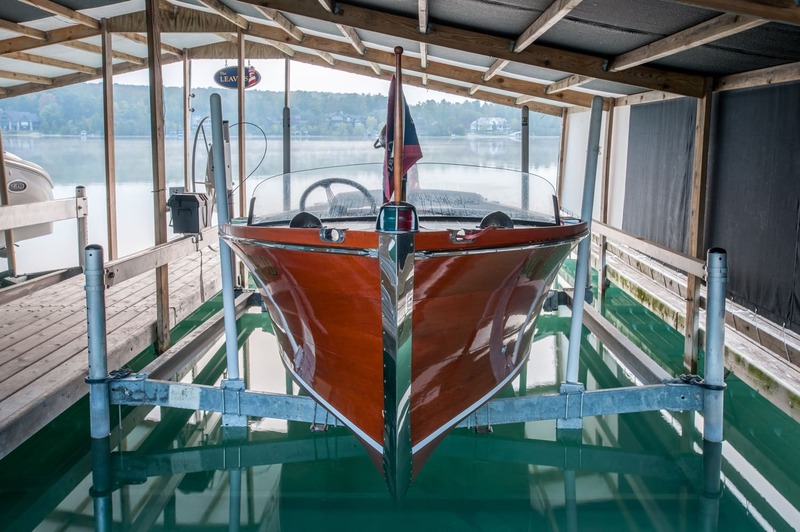 Pat Leavy is one of Northern Michigan’s top real estate executives, but when he’s at the family’s renovated early 1970s cottage on the lake’s west arm, he focuses on fun. He limits visits to his second-floor office as much as he can, so he can spend time with his wife, Lisa, and two kids, Kelly, 18, and Patrick, 15. 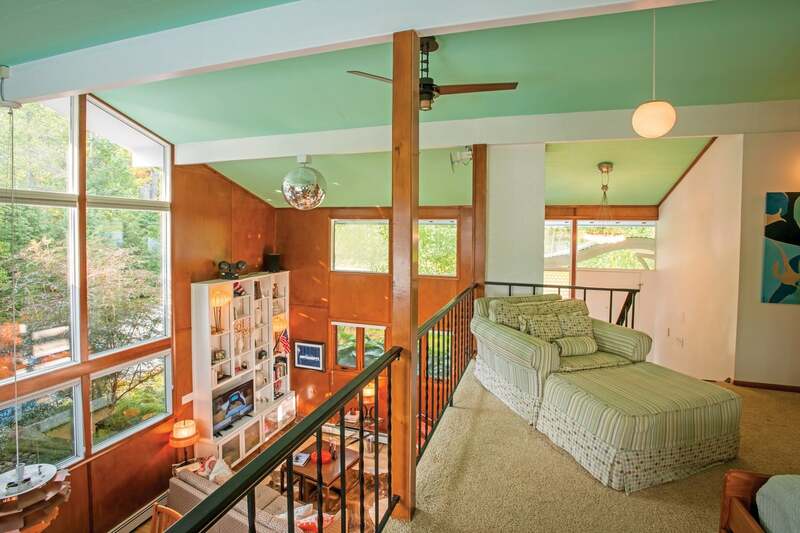 Originally from the Milford area, the family purchased the mid-century modern, 1,700-square-foot house in 2007. “It was dated and run down,” Pat remembers. In 2013 the Leavys were ready to renovate, planning to nearly double the size of the home. “Our goal was to keep the original integrity but update it,” Pat says. The couple enlisted the help of architect Greg Presley, known for his sensitive remodeling designs, builder Jim Matthews, and interior designer Kelly Paulsen to bring the plan to fruition. 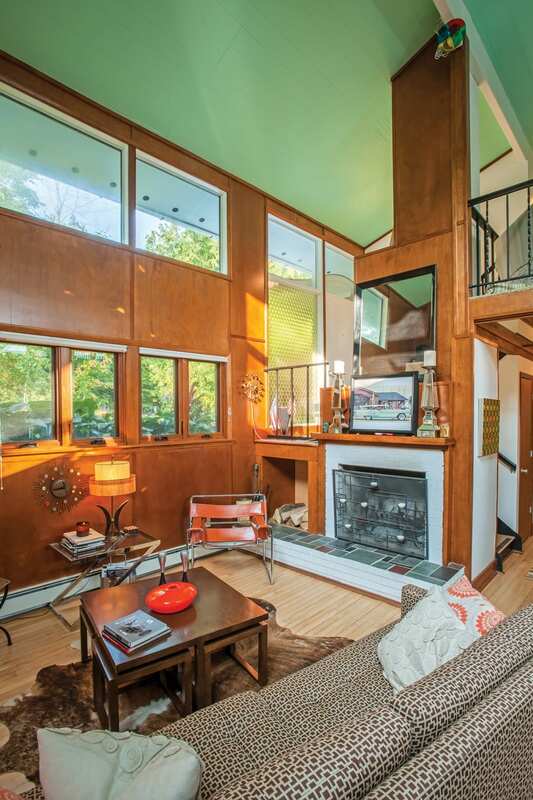 Greg enjoyed working on the house, one of just a few remaining mid-century examples on Walloon. With its post-and-beam construction that creates open, airy space, and its generous windows, the style represents the buoyant mood of the post-WWII years, Greg explains. 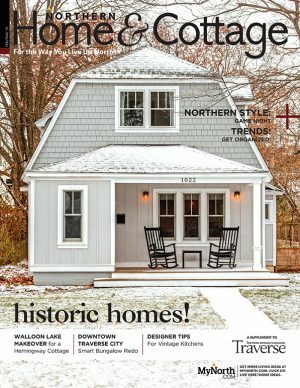 “The challenge in the Leavy home was to honor the functional flow of the original house, with its great two-story open living room and overlooking balcony,” he says. Much of the solution was to add a two-car garage with an apartment on top and a two-story turret that connects the new addition with the main structure. 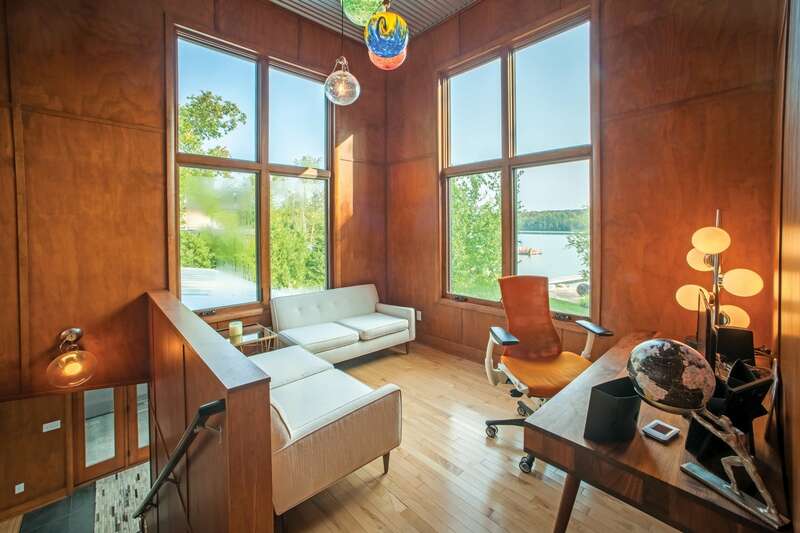 The turret houses the mudroom, the fabulous office overlooking the lake. 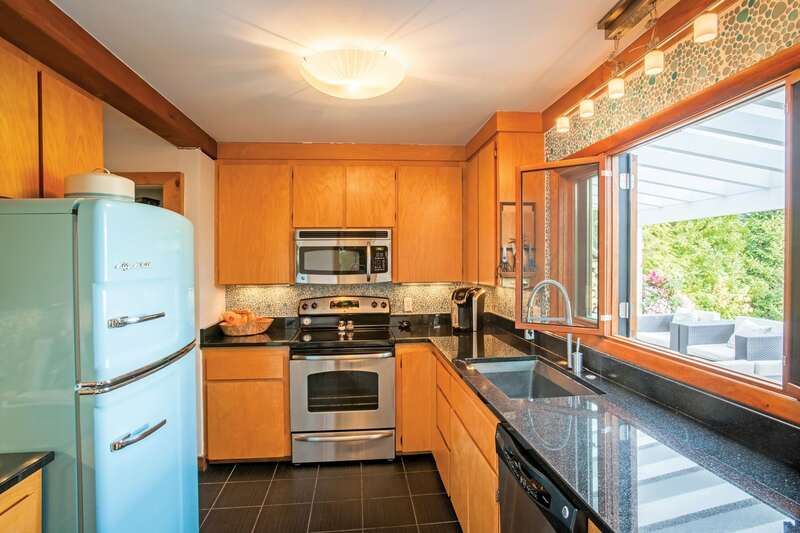 Much desired extra entertaining space (the Leavys love to throw parties!) 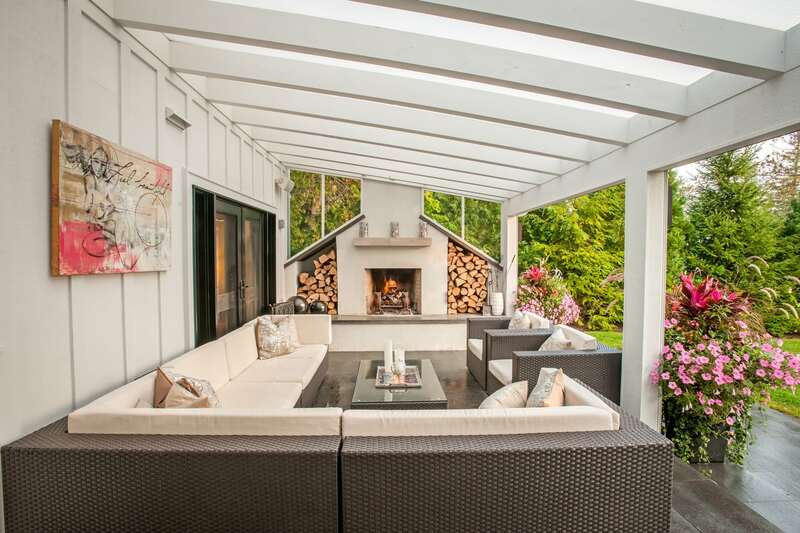 comes from the addition of a small room on the lakeside outfitted with a bar, that opens onto a covered patio with an outside wood-burning fireplace and roll-down screens. Pat enjoys hunting down and furnishing the house with authentic mid-century furniture and accessories, including period Herman Miller furniture and a Louis Poulsen artichoke light. “They’re very hard to find,” he says of the light. “It took me four years, and I had to bid at an auction in Chicago to get it.” The mid-century pieces mingle perfectly with framed original Coca-Cola ads featuring Pat’s mother, Joanne Leavy, who modeled for the company in the late 1950s. But all of that is just décor teaser for the real party starter in this cottage: a disco ball hung from the living room ceiling. While it is not original to the home, it is original to the Leavy-era of this home. “The disco ball was one of the first things we hung up when we moved in,” Pat says.